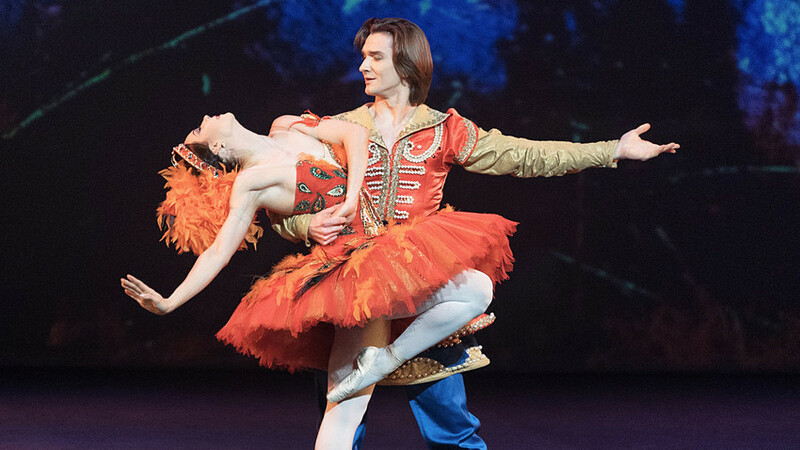 Have you ever dreamed of seeing the best of Russian ballet on one scene? Now it’s possible! An extravaganza of pointes and tutus hit the London Coliseum in February and Russia Beyond has a couple of tickets to give away to our most faithful readers. From the beginning of the 20th century when Sergei Diaghilev first brought Russian ballet to Europe and won the hearts of spectators, classic dance from Russia has always been something truly beloved internationally. Since 2006 Ensemble Productions has been running The Russian Ballet Icons Gala, a great initiative that brings together the best of what’s on the Russian scene and gathers in London the best dancers of the world’s leading theaters: the Bolshoi, the Mariinsky, The Royal Ballet, English National Ballet, Grand Opera Paris, Berlin Staatsoper, New York City Ballet, Ballet of Monte Carlo and many others. La Bayadère, Swan Lake, Don Quixote and Tchaikovsky’s Pas de deux are among the highlights of the upcoming The Russian Ballet Icons Gala 2018 that is due to take place on Feb. 25, 2018. The evening includes the world premiere of A Flashback, a ballet by Mariinsky-based choreographer Ilya Zhivoi, and Warrior of Light, a staging of the unique ballet family Maria Sasha Khan and Nadia Khan. Another really unique thing to see will be a pas de deux from the scandalous and surely most discussed recent premier of the Bolshoi Theater, Nureyev. Vladislav Lantratov and Maria Alexandrova will perform as Rudolf Nureyev and Margot Fonteyn on stage. To book tickets visit londoncoliseum.org. If you want a chance to get two free tickets for the gala evening, you can enter our competition. 2. Guess which dancer of St. Petersburg’s Mikhaylovsky Theater is taking part in the gala. Read our newsletter: In the next mail out we will give you a clue. 3. Be the first to email us the name of this dancer at uk@rbth.com and don’t forget to give us your contact details.